Congratulations Chrysta! You've won 2 tickets to see Woman in Black in Victoria tomorrow! Thanks for the follow! Yes, there will definitely be more giveaways, including movie passes. What is your city? We also have a small Valentine's Day giveaway on the blog...way at the bottom via Rafflecopter. Thanks for the follow! For which city are you trying to win tickets? Congratulations Monica S! You have won 2 passes to see Woman in Black tomorrow in Calgary! 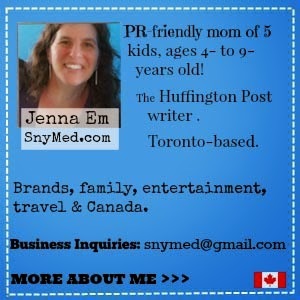 I am following SnyMed on twitter as @jmk94 ... I'm looking for tickets to Edmonton! Congratulations jmk94, you won 2 tickets to the Woman in Black Premiere Edmonton tomorrow night!